Lad Ferian, the Chairman and Chief Operating Officer of DF Consumer Products, Inc., which is the manufacturer of Mobile Clean & Go joins eHealth Radio & the Health & Technology Channels. Mobile Clean & Go is a brand new product created to assure clean, smudge-free mobile device screens for consumers on-the-go. Why is it important, in regards to our overall health, to regularly clean touch screen devices like smart phones, tablets and GPS? 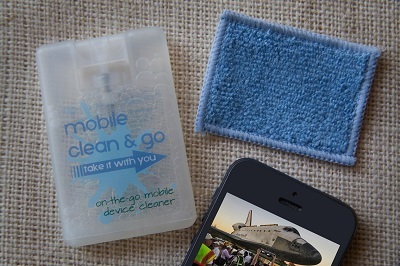 How does Mobile Clean & Go help health-conscious individuals stay germ-free when it comes to mobile devices? How do touch screen devices compare to other objects in regards to germs? What do you recommend that people do to keep their phones and other devices germ-free? What is the largest benefit to Mobile Clean & Go for Health-Conscious Consumers? Lad Ferian is the Chairman and Chief Operating Officer of DF Consumer Products, Inc., manufacturer of Mobile Clean & Go. Lad has over 13 years’ experience in the allied chemical and consumer products industries. Lad has extensive experience in product development consulting and account management, serving the most prestigious Fortune 500 clients. While traveling the World managing global sales and marketing for a specialty chemical company, Lad has seen mobile communication devices evolve from a luxury for business travelers, to a necessity for the average consumer. In 2006, Lad formed DF Consumer Products, Inc. with the specific focus on developing innovative, portable chemical consumer goods that improve the quality of life of the average consumer. DF Consumer Products focuses on affordable, innovative products that add value to consumers’ hectic lifestyles. Mobile Clean & Go is a brand new product created to assure clean, smudge-free mobile device screens for consumers on-the-go. Ron Najafi, the founder and Chairman of NovaBay Pharmaceuticals, the Developer of Anti-Infective Aganocide Compounds effective against bacteria, virus and fungi joins eHealth Radio and the Health News Channel. NovaBay Pharmaceuticals is "going beyond antibiotics". What do you mean by that? NovaBay has issued a Call to Action. What does it include? What can individuals do now to protect themselves from antibiotic resistance in everyday life? What can those individuals do who are planning to enter the hospital for surgery or a stay in the hospital do to protect themselves? Please provide us with some tips. 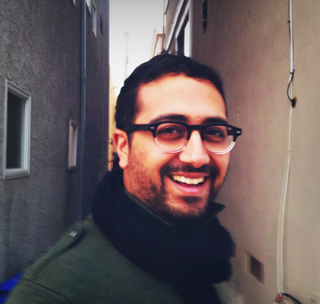 Ramin (“Ron”) Najafi is the founder and Chairman of NovaBay. He has served as President since 2002, and as Chief Executive Officer since 2004. 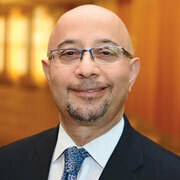 Previously, Dr. Najafi served in various management positions within NovaBay including as Chief Scientific Officer. 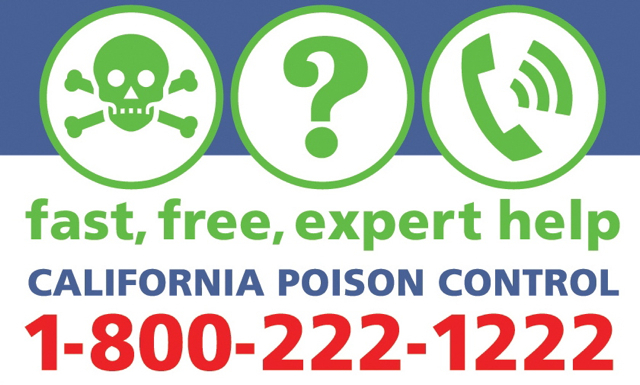 Prior to founding NovaBay, Dr. Najafi was the President and CEO of California Pacific Labs, Inc., a chemical laboratory safety devices company. He has also held scientific roles at Rhone Poulenc Rorer (now Sanofi-Aventis), Applied Biosystems and Aldrich Chemical. Dr. Najafi received a B.S. and M.S. degree in Chemistry from the University of San Francisco and a Ph.D. in Organic Chemistry from the University of California at Davis. NovaBay Pharmaceuticals is a clinical-stage biotechnology company focused on developing its proprietary and patented Aganocide® compounds. Aganocides are novel, broad-spectrum, fast-acting, synthetic anti-infectives designed to mimic the body’s defense against infection. They are active against bacteria, fungi and viruses, and are being developed to treat and prevent a wide range of local, non-systemic infections with a low likelihood of developing bacterial resistance. Company’s four core business units – DermaBay, UroBay, EyeBay and MediBay – are developing treatments that tackle infections in the dermatology, urology, ophthalmology, and wound care areas. NovaBay’s first-in-class Aganocide compounds, led by auriclosene, are patented, topical antimicrobials with a broad spectrum of activity against bacteria, viruses and fungi. Mimicking the mechanism of action that human white blood cells use against infections, Aganocides are not subject to bacterial or fungal resistance, which has been demonstrated in in vitro and in vivo studies. Having demonstrated clinical efficacy in Phase 2 proof-of-concept clinical studies, auriclosene is well suited to treat and prevent a wide range of local, non-systemic infections. NovaBay has entered into and recently expanded an agreement with Galderma S.A. to develop and commercialize Aganocide compounds in acne, impetigo and other dermatological indications. 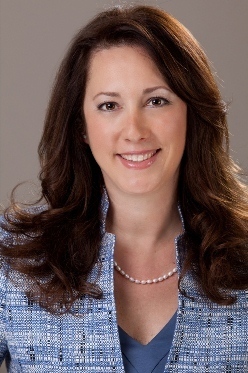 Dr. Jordana Szpiro, a well-known Boston podiatrist and founder of Boston Common Podiatry joins eHealth Radio and the Foot Health Channel to talk about "Foot Fillers", which is essentially, cosmetic treatment for the feet. Dr. Szpiro has brought this innovative technique that is sweeping the nation, to the Boston area. Who can benefit from the application of Foot Fillers? Do you have to be specially trained to administer cosmetic filler such as Sculptra to the feet? Is it similar to having a Sculptra aesthetic treatment administered to the face? Is there any recovery time or "down time" after the Foot Filler is injected? What is the cost and how long will foot filler last? Tip: Women who constantly wear high heels can truly benefit from Foot Fillers. Think of it as adding some much-needed padding to the inside of your feet rather than the outside. As you're walking, the biomechanics move the Sculptra to the right spot on your feet, creating a cushion and eliminating pain. 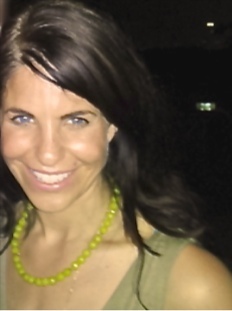 Dr. Jordana Szpiro, D.P.M., F.A.C.F.A.S. is a podiatrist and board certified foot surgeon as well as the founder of Boston Common Podiatry. As an established Boston podiatrist, Dr. Szpiro has accumulated extensive clinical and surgical experience working with patients of all ages. She is very mindful of the importance of providing treatment options that allow patients to return to their normal routines as soon as possible. Dr. Szpiro earned a Doctorate in Podiatric Medicine from the California College of Podiatric Medicine and completed her residency in New York City where she advanced her education in surgical management of common foot disorders including bunions, bone spurs, neuromas, heel spurs. Dr. Szpiro is on staff at several hospitals in the Boston area including Mt. Auburn, a Harvard teaching hospital, as well as hospitals affiliated with the Cambridge Health Alliance. Her practice is dedicated to treating a wide range of podiatric disorders from diabetic foot care to plantar fasciitis. Dr Szpiro is a member of the American College of Foot and Ankle Surgeons. 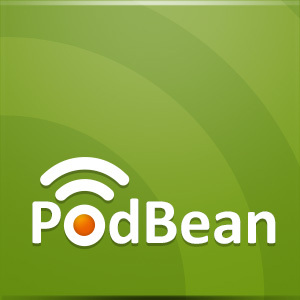 Mike Patel, CEO of Meditab Software, developers of Intelligent Medical Software joins eHealth Radio & the Health Care and Technology Channels. His vision from the beginning was to design software for the healthcare arena to improve patient care and maximize efficiency. Tell me about what Meditab Software does, a little bit of the company’s history and your role at the company. How can electronic medical records benefit patients and help them become more active in their own healthcare? What are the biggest advantages for doctors in using electronic health records to run their practice? 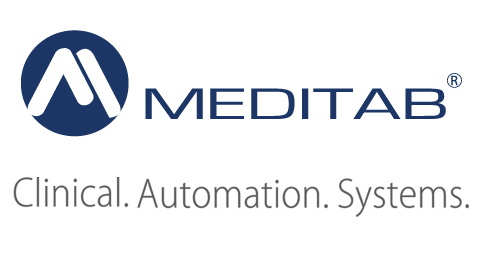 What makes Meditab stand out in today’s competitive field of electronic records management? Where do you think the healthcare IT industry is heading in the next 3-5 years? Mike Patel, CEO of Meditab Software, graduated from pharmacy school at the age of 20. Upon graduation, he grew a pharmacy business from $600,000 revenue to over $16,000,000 utilizing technology and maximizing workflow. During the course of his pharmacy work he wanted to help his physicians improve their efficiency and started the development of Intelligent Medical Software(IMS) in 1998. His vision was to design software for the healthcare arena to improve patient care and maximize efficiency. He is married with two boys and a daughter. His hobby is to work on continuing to improve the software for his clients. Dr. William Prather, Senior VP of Corporate Development at Pluristem Therapeutics, a biotechnology company that is developing off-the-shelf cell therapies for a variety of human diseases joins eHealth Radio and the Health News Channel. 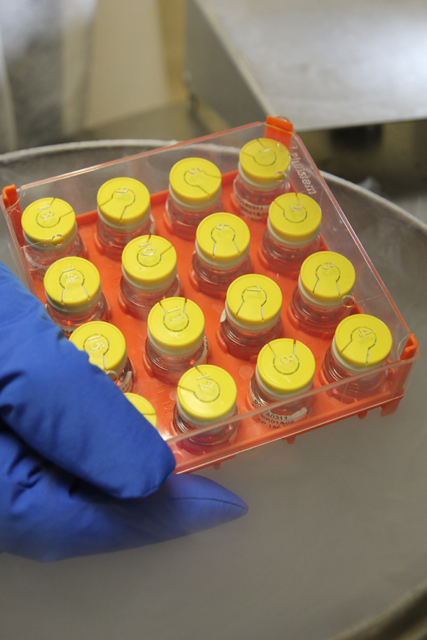 Pluristem’s cell products are derived from human placentas, traditionally left to be medical waste following childbirth. Dr. Prather will share how these cells work for a host of diseases and hopefully help save the lives of premature babies. We have heard of all types of stem cells using embryonic eggs to bone marrow, can you explain the new advance using placental stem cells? What types of health conditions do the PLX cells address? How do the cells work to remedy the condition? How will these cells help with sports injuries? You recently announced that early studies showed the PLX cells reversed preeclampsia, a common condition among pregnant women, can you explain how? What is next for Pluristem? 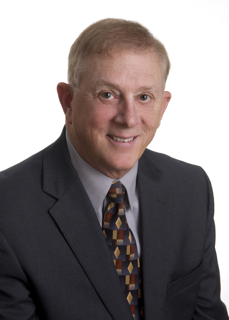 William R. Prather RPh, MD, Senior VP Corporate Development, at Pluristem Therapeutics, is a Registered Pharmacist as well as a Board Certified Internist and Geriatrician. Dr. Prather received his BS in Pharmacy (1970) and medical degree (1973) from the University of Missouri. He practiced internal medicine in the Kansas City, MO and Vail, CO areas until leaving Internal Medicine in 1987 to pursue a Fellowship in Geriatric Medicine at Harvard University. He completed this Fellowship in 1989. In 1992 Dr. Prather left the practice of medicine to pursue a career in the financial industry where he has held Senior Healthcare research positions for a variety of investment banks. Prior to joining Pluristem, Dr. Prather co-founded Panacos, Inc. (NASDAQ:PANC), a public pharmaceutical company. Additionally, he has been on the Boards of several public and private companies, including Boston Biomedica Inc. (a public medical diagnostics company), PriMed (a private medical device company), MdBio (a Maryland healthcare venture firm), and sat on the Advisory Board of MDS Capital Management, (a Canadian venture firm). Isabell Daniel a licensed Esthetician, eyelash extensionist and Founder of Kalliste Clean Beauty Inc. that was created to give you an opportunity to receive customized services that suits your lifestyle and skins needs with the ultimate goal to enhance your natural beauty joins eHealth Radio and the Skin Care Channel. Why do some people have beautiful even toned skin and others have awful skin? Can my diet effect my skin tone and eyelashes? What foods can I eat to help my skin and lashes? What is the advantage and or disadvantage of using organic natural skincare products opposed to non natural products? A lot of people don't want to get facials or peels because they are afraid it will make them break out. Why would this occur and how can we prevent this from happening? Eyelash extensions ----why are they becoming so popular? Why are there so many mixed opinions about them? Are extensions an anti-aging tool? What prompted a successful, Licensed financial marketing assistant in New York City to pack it all in, move to Chicago, and pursue a career as a Licensed esthetician whose specialty is eyelash extensions? ﻿Since then, Daniel has pursued a passion for skin care, make-up, and, yes, eyebrows and eyelashes. She worked in a series of salons and spas to learn her trade, did make-up for more weddings than she cares to remember, and honed her skills even when she worked fulltime in financial marketing. Once relocated in Chicago, Daniel, went back to school to become a licensed Esthetician. She held a variety of jobs during the day and interned in spas at nights and weekends for over 3 years . Daniel says, "a guitarist doesn't start out playing the guitar and getting paid immediately to perform live shows, but through great practice and dedication eventually they will get to perform live shows and feel satisfaction, and gratitude doing so." Daniel, was getting burnt out, working seven days a week three different jobs which were unfulfilling in all areas, plus one internship, still unable to make ends meet. She was feeling trapped and hopeless. One day she woke up with a new idea. She decided to sell her high end corporate clothing to a second hand store and use the money to incorporate Soul Marketing/Soul Beauty which morphed into Kalliste Clean Beauty once she was able to garner a steady clientele. ﻿Daniel, started out riding her bike to peoples homes or treating them in her kitchen. Today, Daniel has two locations she is currently working out of wicker park and Lincoln Park. “Eyes are the window to the soul,” Daniel affirms. “I can make my clients feel better about themselves, more confident, more feminine. That gives me great joy and a sense of purpose." Andrew Dixon, the Senior Vice President at Igloo Software that offers a secure enterprise social platform organization that unites healthcare professionals, practitioners and patients so they can collaborate on ideas and keep information in one area joins eHealth Radio and the HealthCare and Technology Channels. Tell me a little about what Igloo does. What exactly is “social business software” and how is it different from Facebook, Twitter etc.? What is the biggest mistake organizations make when they embark on their social strategy? How does the growth of Mobile device use in Healthcare impact social strategy? How do you recommend companies get started? Andrew Dixon is responsible for Igloo's sales operations and go-to-market strategy, including operations, demand generation and communications. Prior to Igloo, he was an eighteen-year veteran of Microsoft, where he managed several product groups and divisions. 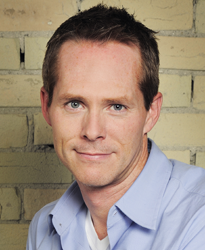 Most recently, Andrew served as the Vice President, Business & Marketing Officer, Microsoft Canada, where he was responsible for driving the Canadian business unit's marketing and operational efforts.